Before we get to this week's party, I just want to remind you about the Holiday Open House Party. Go link up your living room Christmas decorations! I'm sharing my Burlap Christmas Art this week. Hi, Allison. 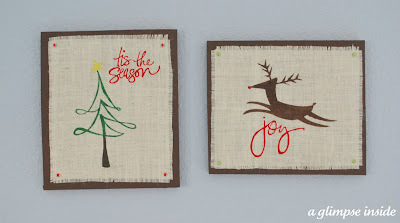 Your burlap Christmas art is beautiful and creative. I shared a Parga beef sliders recipe and a moist and delicious fruit cake recipe today. Thank you for hosting us again and have a great week! Just linked up and followed you as well! Would love to see you around at my place when you've got the time. Thanks so much for hosting! Great ideas everywhere!